Trusted auto repair service for all of Gainesville, FL! The smiles we see every day says it all about Terry’s Automotive and Quik Lube. Hello and thank you for visiting our website. 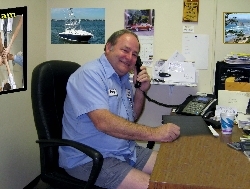 My name is Terry Carter, owner/operator of Terry’s Automotive and Qwik Lube. If you are looking for a facility that will meet or exceed your manufacturer standards with professionals that will treat your car or truck like it is their very own, and want service done right the first time for a fair price, then I invite you to learn more. Click here to see 7 ways we are different from any other service shop (Dealer or Independent). We have the expertise, the tools, and the instruments needed to service your car or truck. Our computer systems are updated every day with direct access to the manufacturer – it is a lot of work to provide this level of service, anything less is simply not acceptable. Just need an oil change? Just stop by and we’ll get you in and out – FAST. Our experienced professionals will top off the fluid levels and even rotate your tires while we do the oil change – all for about the same cost as you’ll pay at those national lube centers. Need something more done like transmission repair? Call us for an appointment and we’ll get you on your way fast and easy. Need a ride? No problem, we can drop you off and pick you up. If you prefer, we’ll pick up your car or truck and return it to your home or business – it’s all part of extending great service. We’ll keep you posted on status of the work and promise to deliver your car or truck on time, for the estimated cost (or less).